At Jimmy Britt Chevrolet Buick GMC, our aim is to make your car-buying experience simple, quick and enjoyable. Our dedicated sales team is there for you, and at every turn we will be attending to your unique circumstances in an effort to get you into the perfect car to match your budget and lifestyle. Every person is one-of-a-kind, so every car, truck or SUV purchase should be, too! Our Greensboro Chevy dealership is proud to offer a wide selection of new Chevy, Buick and GMC vehicles. 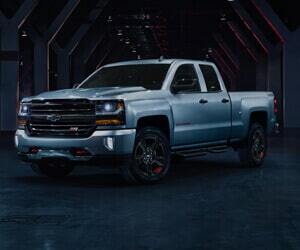 When you shop with us, you can lease a new Chevrolet Cruze, Equinox or Chevy Silverado 1500, just as easily as you can a new GMC Terrain, Acadia or GMC Sierra 1500. You can also buy a luxurious new Buick Enclave, Encore or Envision SUV and enjoy every perk that comes with first-class luxury. For those shopping on a budget, we’re proud to offer an extensive selection of used Buick, GMC and Chevy vehicles from a variety of manufacturers at a range of price points. 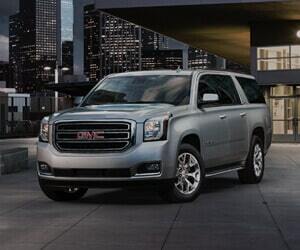 Just ask to test-drive a used GMC Yukon SUV or a pre-owned Chevy Colorado pickup and upgrade your drives. If you need help planning out your payments or finding a loan, our GMC financing team is more than happy to assist you in figuring out what’s best for your budget. Our local Buick dealership also features a Chevy, Buick and GMC service center where you can bring your new or new-to-you vehicle in for either routine Chevy maintenance or complex GMC repairs. Our certified Buick service technicians are even here on Saturdays to help you get your car running in tip-top shape! From performing Chevy oil changes and GMC tire rotations to completing Buick brake inspections and Chevy battery service, our team makes staying up-to-date with your factory-recommended maintenance schedule a breeze. Plus, if you’re in the market for high-quality Buick, GMC or Chevrolet parts, you can drop by anytime to buy OEM GMC parts at our Georgia Buick dealer, or order OEM Chevy parts online and have them shipped straight to us! Jimmy Britt Chevrolet Buick GMC is conveniently located at 1011 Town Creek Boulevard in Greensboro, GA, which is only a short drive away from Athens, Augusta, Milledgeville and Madison, GA. Stop by today or give us a call, and let’s get you started on your journey to an excellent new vehicle. We look forward to seeing you soon!